Hi everyone! I have 2 new shades from Silly Bee's Chickadees to share with you today! 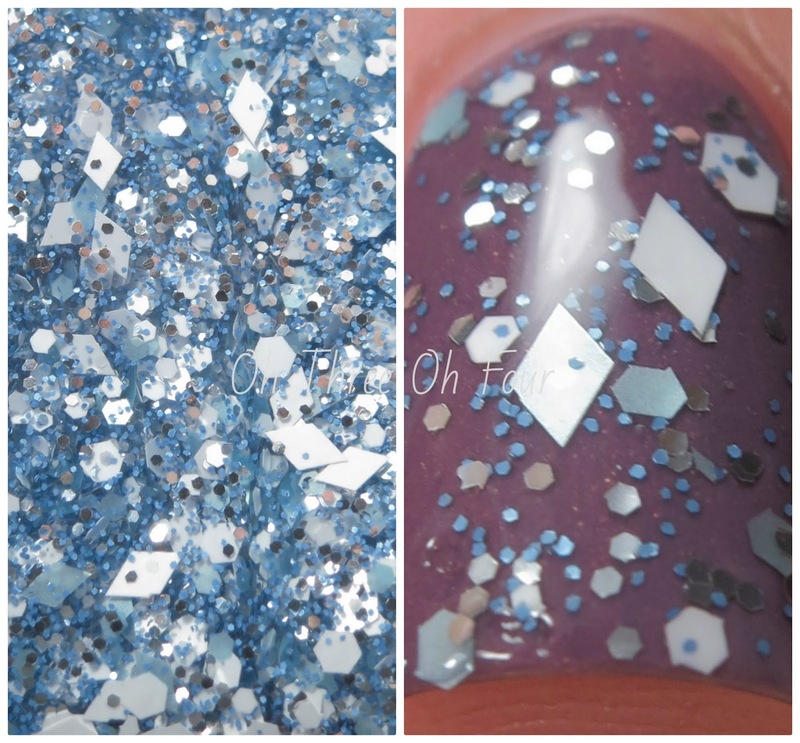 These 2 polishes were inspired by Melissa's, the creator of Silly Bee's Chickadees, sorority Alpha Delta Pi. As I'm told today is Founders' Day for Alpha Delta Pi, so happy Founders' Day to any ladies apart of Alpha Delta Pi! Diamond Deb has a clear base with pale blue, white and silver hex and diamond glitter. Here I layered 1 coat of Diamond Deb over 2 coats of Velvet Violet with a top coat of Seche Vite. You will definitely shine like a diamond with this polish on! All of the glitters go perfectly together and the diamonds add a nice extra kick to the over all look. Formula was problem free and as you can see you get plenty of glitter in just one coat! Velvet Violet is a deep purple "crelly" with a suede finish. All nails are 2 coats with no top coat. The First and Finest Collection will be released through Silly Bee's Chickadees Etsy store today at 7 PM CST. 25% of the proceeds from First and Finest will go to the Houston Alpha Delta Pi Alumne Altruistic Association which not only supports the Ronald McDonald House, but several other Houston area charities. Also, if you order within the month of May and receive a party favor bag containing a surprise discount code! Make sure to follow Silly Bee's Chickadees on Facebook, Instagram and check out her blog!